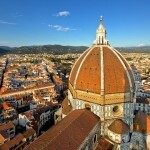 The monuments of Piazza del Duomo in Florence | Che Bellezza! 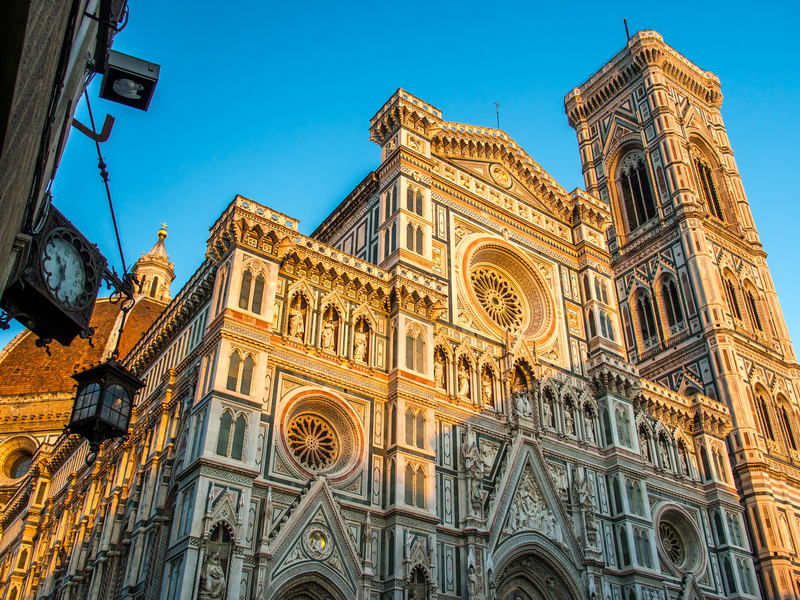 Piazza del Duomo (Duomo Square) in Florence… One of the most beautiful squares in the world, don’t you think? Definitely one of my favorite piazzas: even if I often hang out at it because of my work as a tour guide, I never get tired of admiring it! I love to reach the square coming from Via Roma street, because, just around the corner of this street, you can suddenly see the spectacle of the three “giants” of the square, joined into a unique, exciting “frame”: the Baptistery of St. John, the Cathedral of Santa Maria del Fiore (the Duomo) and Giotto’s Bell Tower, majestic timeless masterpieces! 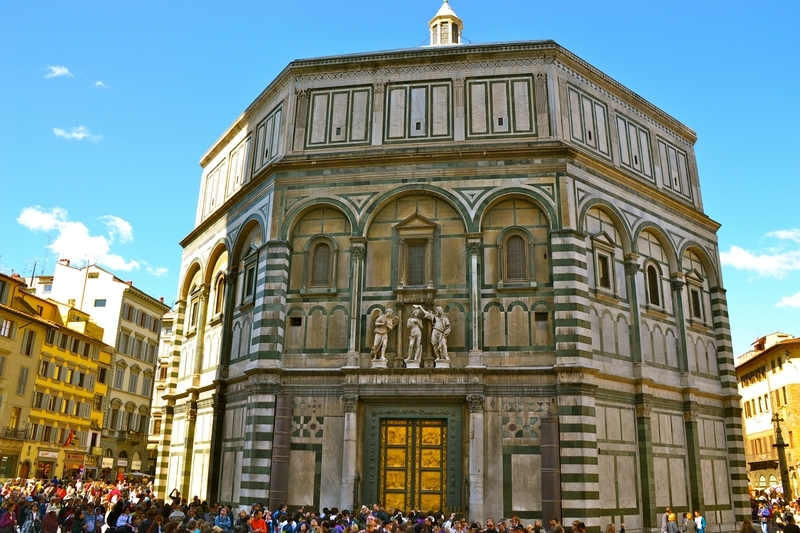 I reach the center of the square and decide to enter inside the Baptistery, which always fascinates me with its two-coloured and geometrical facade, its white and green marble decoration and the glittering gold of the Door of Paradise by Lorenzo Ghiberti. 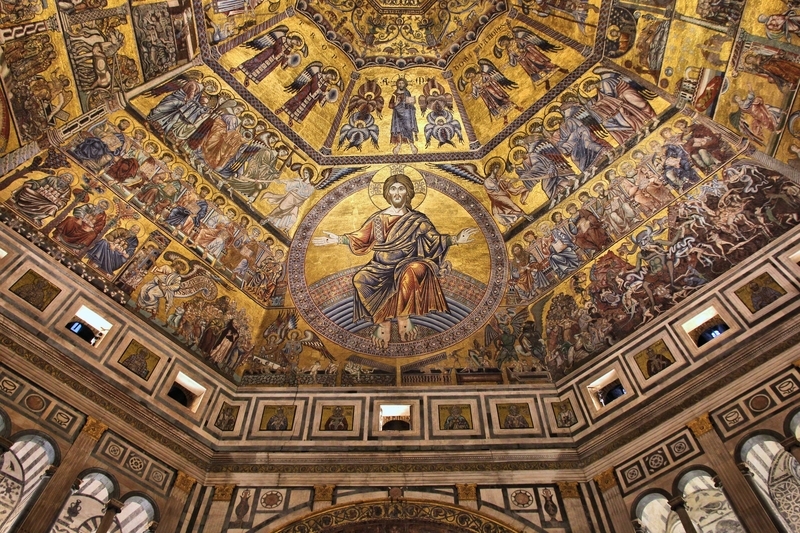 The interior of the Baptistery is always a show that takes my breath away: I admire the beautiful medieval mosaics of the Dome, made by Venetian and Byzantine workers, and the Last Judgement, dominated by the great figure of Christ the Judge and the terrifying depiction of Hell, always catchs my attention! 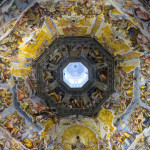 I also want to see again the interir of my beloved Cathedral, much more sober than the glitzy marble external decoration, but certainly full of masterpieces, such as the beautiful frescoes of the Dome, made by Giorgio Vasari and Federico Zuccari and depicting the same theme chosen for the mosaics of the dome of the Baptistery: the Last Judgement. 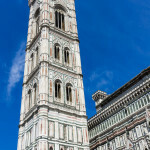 And when I go out the side door of the Cathedral, I find myself dazzled by the majesty of the Brunelleschi’s Dome and Campanile, Giotto’s masterpiece, both undisputed symbols of Florence! 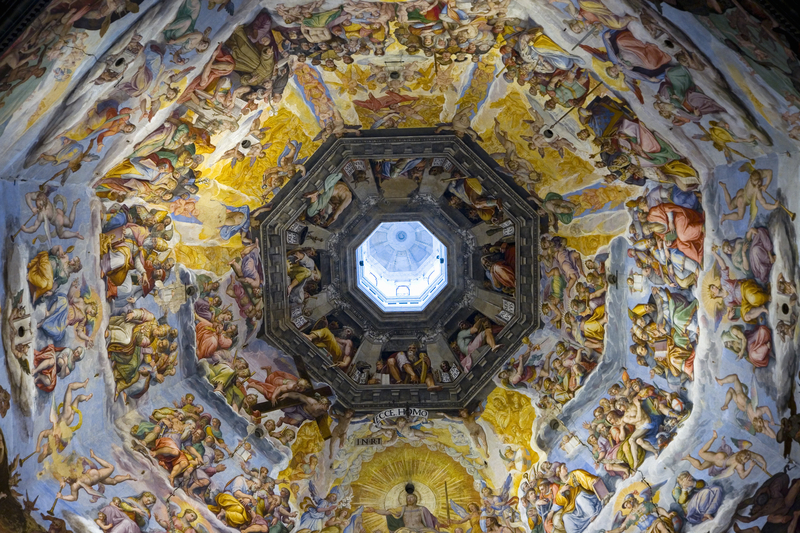 How many wonders gathered together in a few square meters! 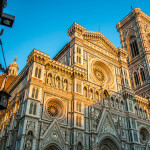 Florence, Piazza del Duomo (Duomo Square). 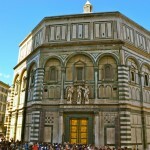 Opening days of the Baptistery: every day, from Monday to Friday, 8.15 am – 10.15 am, and 11.15 am – 6.30 pm. On Saturdays: 8.15 am – 6.30 pm. On Sundays: 8.15 am – 1.30 pm. Closing days: New Year’s Day, Easter, September 8, December 24 and 25. 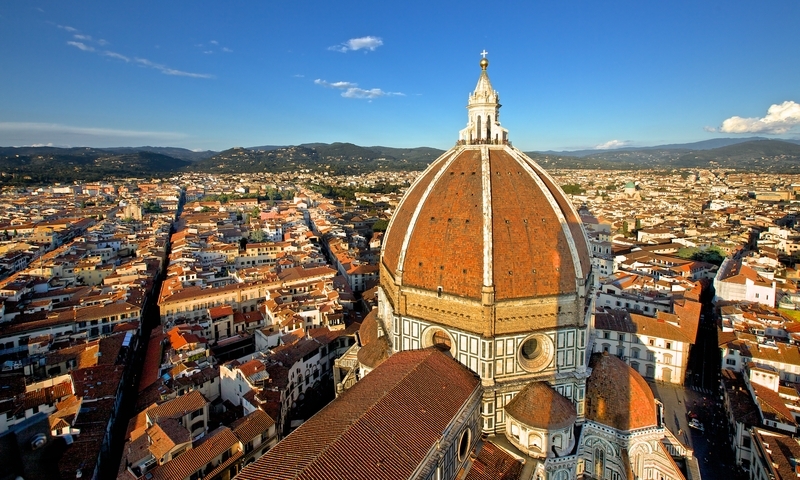 Opening days of the Cathedral (Duomo): every day, from Monday to Friday, 10.00 am – 5.00 pm. On Saturdays: 10.00 am – 4.45 pm. On Sundays and Holy Days: 1.30 pm – 4.45 pm. Closing days: New Year’s Day, Epiphany, Easter and Christmas. 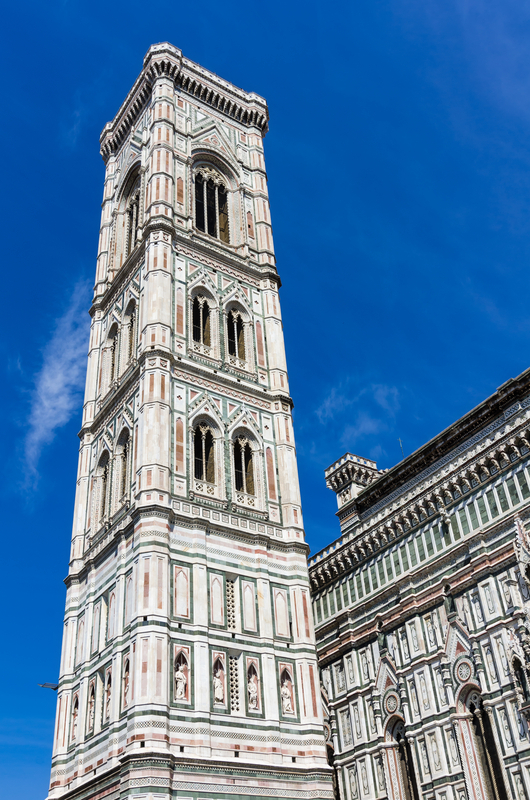 Opening days of Giotto’s Bell Tower: every day, 8.15 am – 6.50 pm. Unique cumulative entrance ticket, for all the monuments of Piazza del Duomo: € 15 (full price). 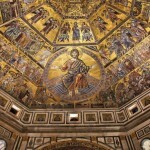 For info about reduced tickets and free admission, visit the website of the Great Duomo Complex.